You are at:Home»Articles/Columns»Will ‘Hell Fest’ Make Us Forget About ‘Winchester’? After ‘Winchester’ back in February, some of us were left wondering why didn’t the horror-collab between two film giants CBS Films and Lionsgate work. I still don’t have an answer to that question, but I can tell you that they will try again. This September, from the minds of proven creators of horror masterpieces, comes a brand new bloody vision – ‘Hell Fest’ is coming to theaters. We all know and love Lionsgate, as it’s famous for bringing us some of the best gems of our genre. CBS on the other hand, isn’t known for doing horror, and after the awful reception that ‘Winchester’ had, I thought that was the last we heard of it when it comes to horror, at least for a while. CBS first dabbled in horror when it distributed ‘The Woman In Black’ for the US back in 2012, which turned out to bi a big success. Then the following year they co-produced ‘The Last Exorcism Part II’, and although it was moderately good, the movie didn’t do so well in the box office. Then in 2014 they co-produced the amazing ‘Afflicted’, one of the most visually raw found footage horror movies to date. ‘Afflicted’ didn’t just stun the critics, it also grossed big at the box office. Next, they had ‘Flight 7500’, followed by ‘Winchester’, so I guess it’s one step forward, two steps backward for CBS’s choice in horror. Sooo, statistically, this upcoming one should be a masterpiece, right? Well, judging by the names tied to it, it certainly should. 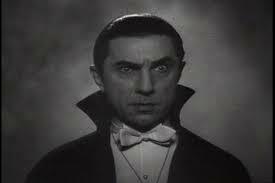 Production is done by none other then Gale Anne Hurd, a wizard when it comes to producing iconic horror movies. Most of you probably know her as the head of Valhalla, the production house behind ‘The Walking Dead’ and ‘Fear The Walking Dead’ TV shows, but she has done so much more throughout her stellar career. Some of you might argue and say that those are not her best work, but my personal favorites are Bad Dreams (1988) and Tremors (1990). Sure, there are some bigger titles there, like ‘Terminator’ (1984) and ‘Armageddon’ (1998), but in my humble opinion they lack the heart that those other smaller films have plenty of. Gale Anne Hurd doesn’t deal with flops, so ‘Hell Fest’ sounds good already. Further good news is that the marvelous Gregory Plotkin is directing this one. He had his directorial debut back in 2015 with ‘Paranormal Activity: Ghost Dimension’, and he edited some pretty good ones as well, such as ‘Get Out’ and ‘Happy Death Day’. If you’re a horror fan, you have probably seen some of his work by now, but you weren’t aware of it. Screenplay is done by Seth M. Sherwood, who bought me forever with his work on the 2017’s ‘Leatherface’. Plotkin and Sherwood worked together back in 2016 on a short called ‘Black Mass’, and if you are hungry for something fresh and innovative, I strongly recommend this one. I myself am not a fan of shorts, but I started paying more attention to them once I saw ‘Black Mass’. ‘Hell Fest’ also features some familiar names acting cast vise. Amy Forsyth plays the lead, and although she is young, she already has some serious horror work behind her. 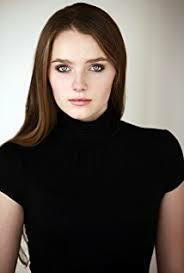 Back in 2013 she starred in ‘Torment’ and in 2015 she was featured in ‘A Christmas Horror Story’, but most of you probably know her from ‘Channel Zero’ TV show, where she shined as Margot Sleator. 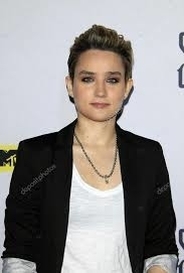 There is also Bex Taylor-Klaus, who was terrific in ‘Scream’ (2015), but you are more likely to remember her from ‘The Killing’, where she managed to give us one of the most convincing performances TV show vise recently. Aside from the promising youngsters, ‘Hell Fest’ also has a legend on board. 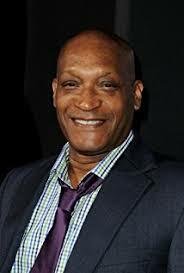 I’m talking about the one and only, Tony Todd (‘The Candyman’, ‘Wishmaster’, ‘Final Destination’), and if ‘Hell Fest’ is good enough for Reverend Zombie, who are we to doubt it? From available synopsis and trailer we gathered that the plot takes place on the Halloween when college student Natalie (Forsyth) goes back to her home-town to spend some time with her friends. 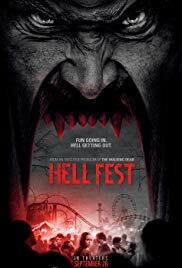 They end up visiting ‘Hell Fest’ – a horror attraction which travels around the country, bringing carnival of terror everywhere it goes. Till September 28th comes, here’s a trailer for ‘Bad Dreams’. Hopefully those of you who haven’t seen this delightful oldie, will go and check it out after this.